Silver And I have Started A New Clan Called [FOTP]. If You Are Interested In Joining, Please Leave A Message. If you haven't signed/registered on the forum, you can contact either Silver Or Guardian Phoenix Via Pet Dragons Two. BEFORE APPLYING, READ THE "Requirements & Rules" BELOW ! The Clan And Name was Thought Of By The Clan Leader,Silver. Small Dragon Info Is Recorded, But NOT Shared Publicly For Privacy Reasons. The Clan Forum link will be sent to new Clan-Members Via PD2-Message or forum. Also we do not plan on getting any bigger than 50 members at maximum, view the updates below to see how many members we currently have. There are members of our clan who will be more than happy to give you advice with training techniques, general tips, and so-forth, just send a message to any of our members and we'll aim to get back to you ASAP. We Accept any dragons of any Age, Gender, And Stats. # Minimum presence Of 250, which must be maintained to keep membership. Let us know in advance if you have to go on vacation and we will ignore your presence for the time being. # Give assist priority to clan members instead of friends. # You will not be asked to cancel an attack in order to assist a clan member. 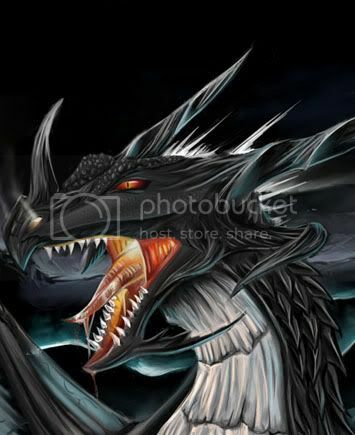 # All members must have one of the watermarks added to their dragon picture. Silver can do this for you. # No bad-mouthing the clan or making clan arguments public. What's in the clan stays in the clan. # Participation in the clan forum/chat room is highly recommended but not required. # No assisting against the clan. # Using turns daily is highly recommended. # You will not be forced to stay. You can decide to leave the clan at any time for any reason. # You cannot be in this clan and another at the same time. # Duels among clan members are approved, but raiding is banned. Raiding fellow clan members will get you kicked from the clan. New members must sign up for an account on the clan forum. This is necessary for access to important clan information, in particular the list of members. (This makes it easy for new members to view and add everyone as friends.) No further participation in the clan forum/chat room is required, but recommended. Clan Now has an actual Forum and not a FB Group. 2. Raiding official friends of the clan, if it's not approved, will merit a public apology. The raider must create a PD2 messaging thread, including ALL FOTP members and the raided dragon, and apologize. In this case we will hope our mutual friend does not take the raid personally. 4. Before becoming official members, applicants must EITHER have a recommendation from a current Fellowship member, OR participate in a discussion with the clan on a PD2 thread which will be created by either Silvy or GP. 5. It is recommended that members move their caves to be closer to the clan, but not required for now. Hi everyone, I'm silver =D Please don't hesitate to leave a message here or send a PM to either of us. We have our own forum and chat room, which you will be granted access to upon accepting our rules and regulations. Yay, another clan! Welcome, good luck, and The Celestials look forward to meeting you on the battlefield! Great to see another clan starting up!! Just wanted to let everyone know, the ONLY information we will be taking down privately for the use of our clan members is everyone's cave locations. I would love to join the clan, are their any other specifics i need to know about? In order to win sometimes you must lose. 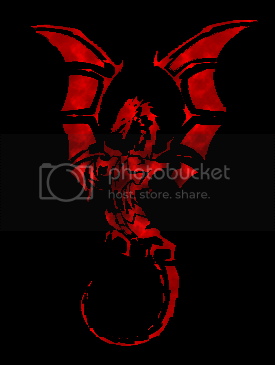 A watermark is a transparent picture that some people put on their dragon pictures so that they can be easily identified by others as belonging to the same group (at least if they remember to included in their thumbnail ). At the Moment, No, What Is Above Is All You Need to know, unless you want to know something that isnt there . PM me or silver if you have any questions you want/need to talk about. Yup. ^_^ Basically, Sotan, if you decide to join the clan, I will put a little image on the corner of your dragon's picture for you. The watermark is the same as my icon and signature pic. I hope you dont mind me putting this here, but I really like your logo! I'll join, I have to go do stuff though, so I'll check out everything when I have more free time. So what all does being in the clan entail?